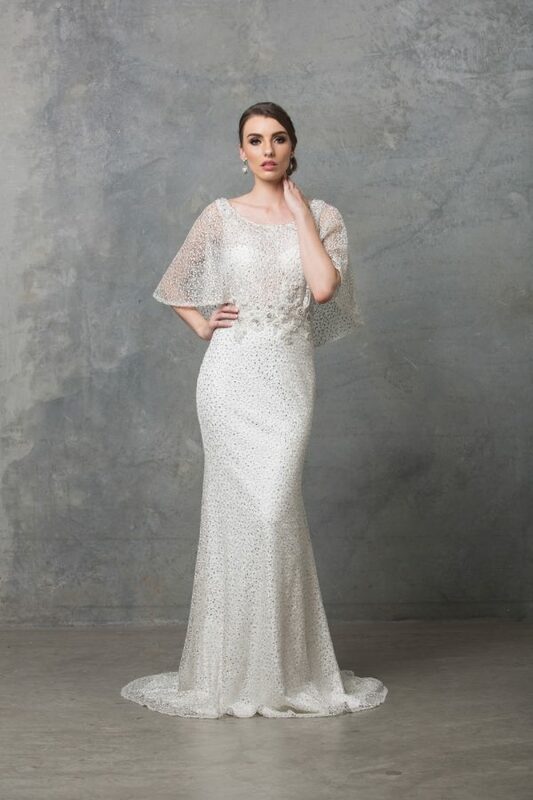 The Marrissa wedding gown features full sleeves delicately adorned with lace applique flow through a scoop neckline before seamlessly transitioning to a soft, floor length crepe skirt. 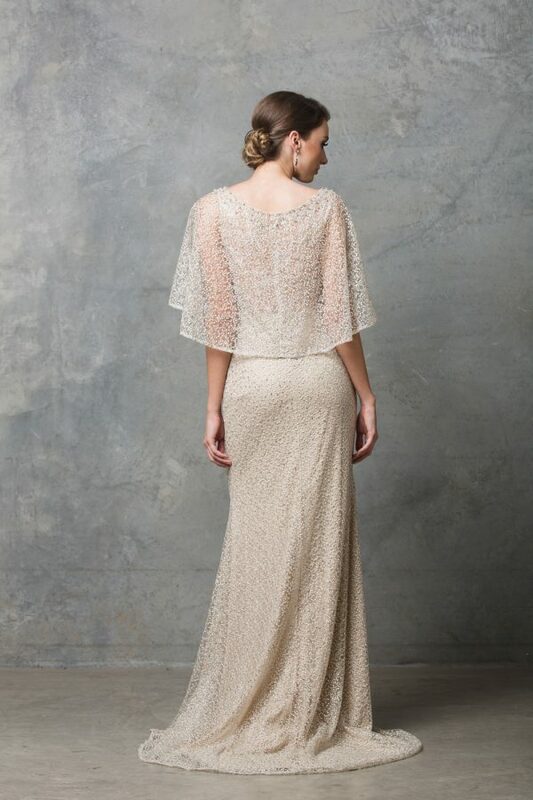 The Marrissa Wedding Dress is a beautiful Bridal gown by award winning Designer Tania Olsen. 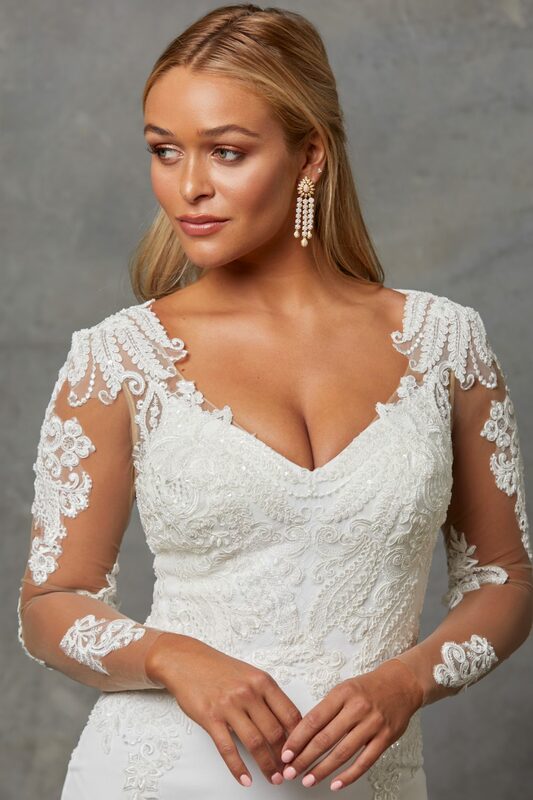 The bodice of the dress features a stunning lace applique strung around the scoop cut bodice and down the arm on the full sleeves. From there the skirt falls into a soft, floor length crepe skirt.